Spring vibes are here, ladies! It's getter warmer and warmer every single day and even if it's still really cold where you live, it is never too early to start shopping for some cute new pieces for the upcoming season! Here are my current picks for Spring! 1. DIFF Eyewear Sunglasses: I have really been wanting a pair of classic, all gold sunglasses lately and when I spotted these, I knew they were the one! DIFF is an awesome charitable company, too, so at least you can feel like you're giving back while shopping! Here is a link to get 20% off your DIFF purchase! 2. Blue Wrap Dress: Wrap dresses are such a huge trend right now and the classic light blue color of this one is getting me so excited for sundress weather! Plus this one is only $55 at Nordstrom! 3. Kendra Scott Earrings: It's no secret that Kendra Scott has amazing jewelry pieces and these earrings are no different. I love the mix of neutral tones in these so they match with almost anything in my closet! 4. Army Green Adidas Sneakers: In my opinion, every girl needs a pair of classic Adidas sneakers and this army green pair is so cute and unique! Throw them on with some ripped jeans and a cute bomber jacket or your favorite "athleisure" style outfit--either way they're perfect. 5. Brixton Joanna Hat: I absolutely adore hats like this one for the beach, but I think this one in particular can be worn in more ways than one; I think it would also look adorable with a maxi dress or jumpsuit! 6. Rosé Sweatshirt: First of all, who doesn't want a cozy sweatshirt that says "Rosé Please"? Secondly, this blush color is one of my absolute favorites right now! 7. 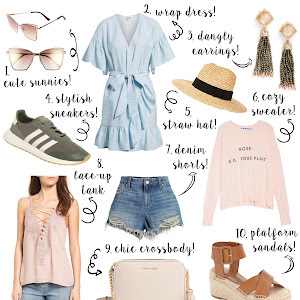 Frayed Denim Shorts: These are pretty much the perfect pair of denim shorts for Spring! They have just the right amount of frays and rips and they're super affordable, too! 8. 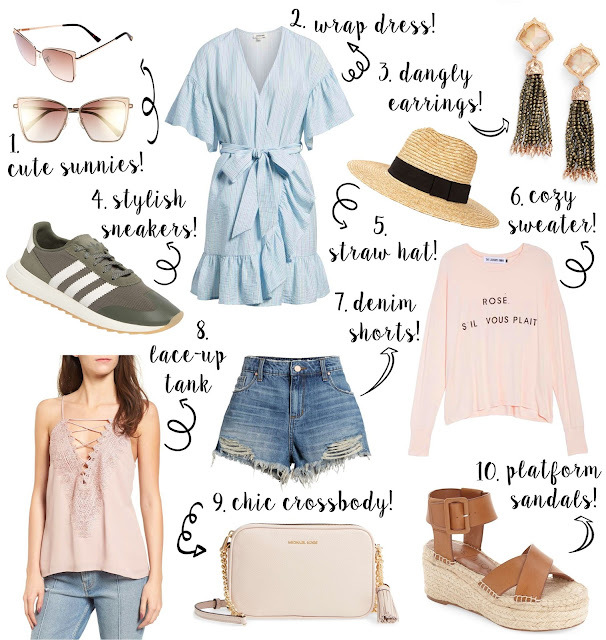 Blush Lace-up Tank: I have been seeing this style of tank everywhere lately and I was so excited when I found it in this adorable blush color! Also this one is almost half the price of others I've seen like it! 9. 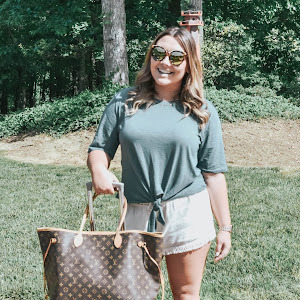 Michael Kors Crossbody: I love a good crossbody and Michael Kors has been coming out with some really simple, cute designs recently. I love the neutral color of this one and the little tassel makes it really fun! 10. Platform Espadrille Sandals: I have been looking for a style of shoe like these EVERYWHERE and this Sole Society pair is to die for. They're at a good price point, too so grab them when you can! Your picks are making me so excited for spring! 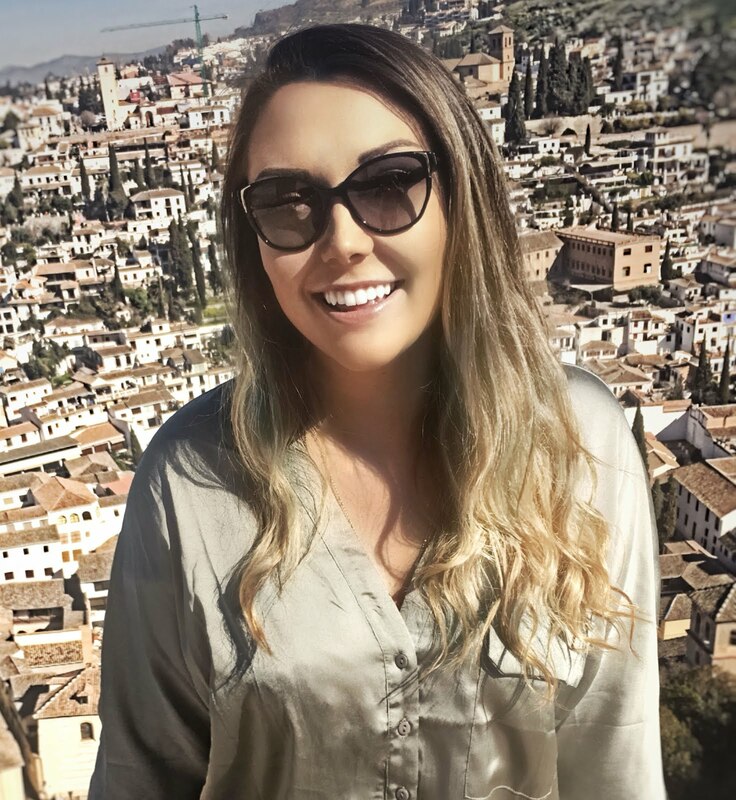 Welcome to With Love from Kayla where I share with the world my love for fashion, beauty, travel, and much more! 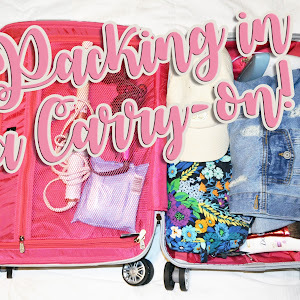 Packing a Carry-On for a Weekend Getaway! © With Love From Kayla. Made with love by The Dutch Lady Designs.